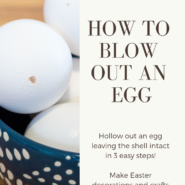 Learn how to blow out an egg leaving the hollow shell intact in just 3 easy steps! 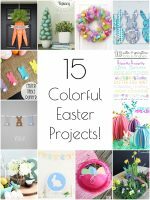 Make Easter decorations and crafts that last forever and can be reused again and again! 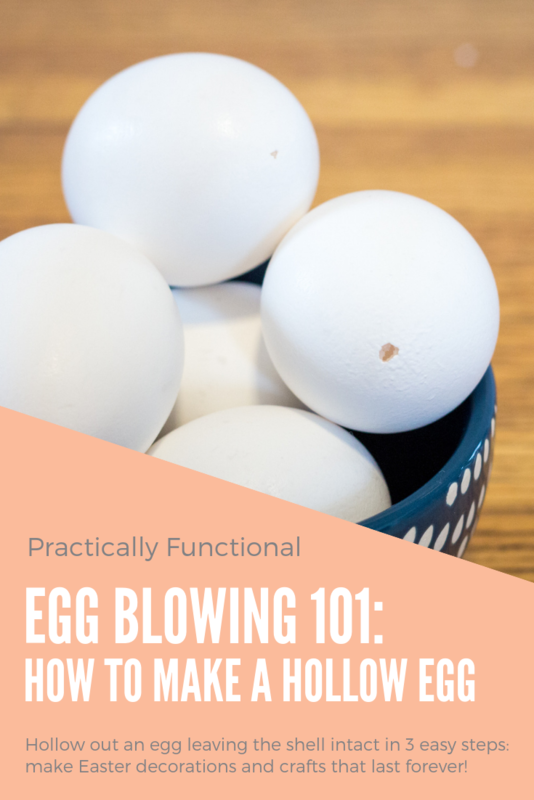 If you love decorating eggs for Easter, but don’t want to waste all that effort on a hard boiled egg that will go bad or start to smell in a few weeks, egg blowing is the answer! You can “blow an egg” to get rid of the eggy insides, leaving a hollow egg shell that is still intact. 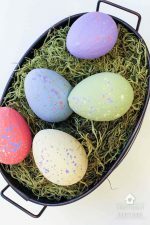 Once you rinse and dry the hollow shell, the eggs will last forever (as long as you don’t accidentally crush them) so you can make Easter decorations you can reuse again and again. And don’t worry, egg blowing is WAY easier than it seems! Here’s how to blow out an egg leaving the hollow shell intact in just 3 simple steps! 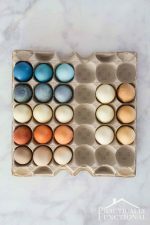 Egg blowing is such an easy way to “preserve” your eggs so that you can use them as decor year after year. Just be careful when putting them into storage so you don’t crush them! Start by putting a small piece of tape over both ends of the egg. 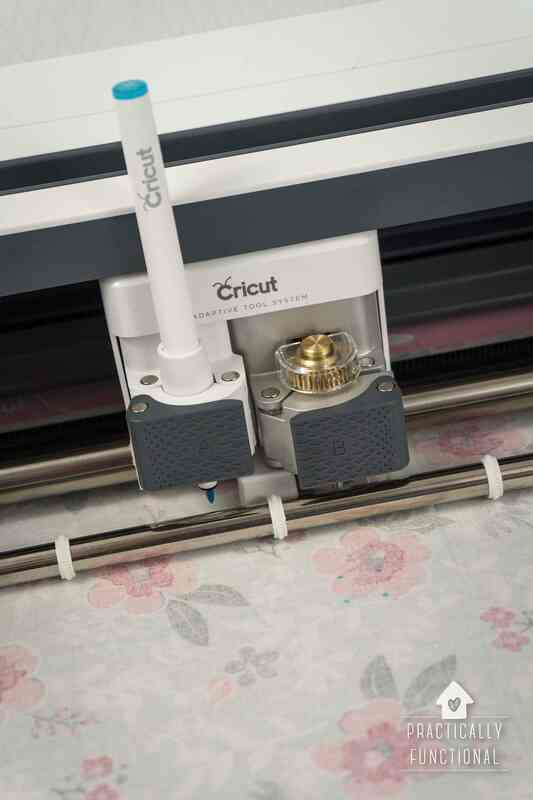 The tape will help keep the egg shell from cracking when you poke a hole. 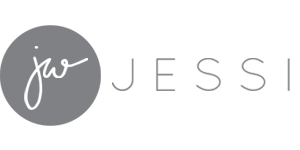 Take a needle or straight pin (or something else small and pointy) and poke a hole into the top (skinnier) end of the egg, through the tape. Wiggle the pin around a bit to make the hole just a little bit wider than the pin and to help break up the yolk inside the egg. Flip the egg over (over your bowl to catch anything that drips out!) and poke a second hole on the other end of the egg. Make the hole on the bottom (fatter) end of the egg a little bigger than the hole on the top; this is the hole all the eggy insides will come out through. Put your fingers over both holes so nothing comes out, then shake the egg. You want to break up the yolk and all the membranes that hold the egg together (basically “scrambling” it inside its shell) so that the egg is liquidy enough to come out through the hole you made. Step 3: Blow the egg out of the shell! Once you can hear the egg sloshing around inside the shell, hold the egg over your bowl (bottom/fatter side down) and blow through the hole at the top of the egg. You want to make sure you get a good seal around the egg with your mouth so that all your air is going into the egg. It can be kinda hard to blow out the insides of the egg, like blowing up a really really tough balloon. 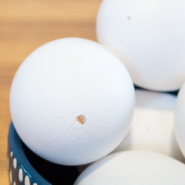 If it’s too hard, try covering the holes and shaking the egg again to break up the insides more, or you can make the bottom hole slightly larger. Keep blowing until the egg shell is completely empty. And you’re done! Wash and dry, then decorate! Rinse the egg in warm soapy water, making sure to clean out the inside of the egg as well as the outside. 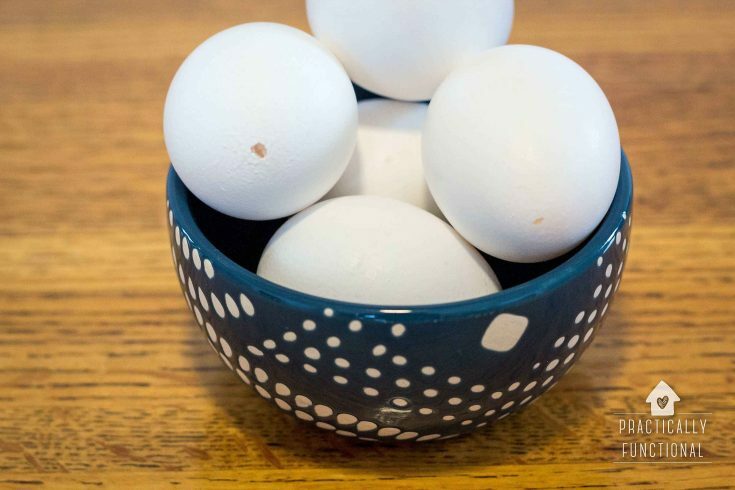 You can run water from the faucet through the egg shell to help rinse out the insides. Set the egg aside to dry, making sure the bottom/fatter side is pointing down so the water can drip out of the egg shell. Once it’s dry you can decorate it however you’d like, and it should last for years! 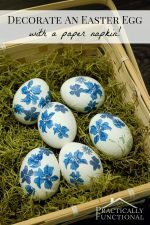 If you prefer to decorate normal hard boiled eggs for Easter instead, check out this tutorial on how to hard boil eggs perfectly every time! 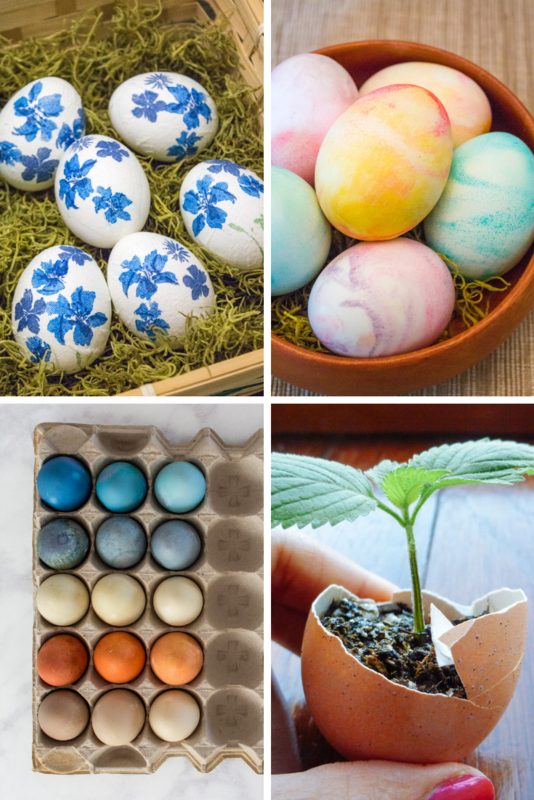 BONUS: Use your blown out eggshells as a natural seed starter pot! 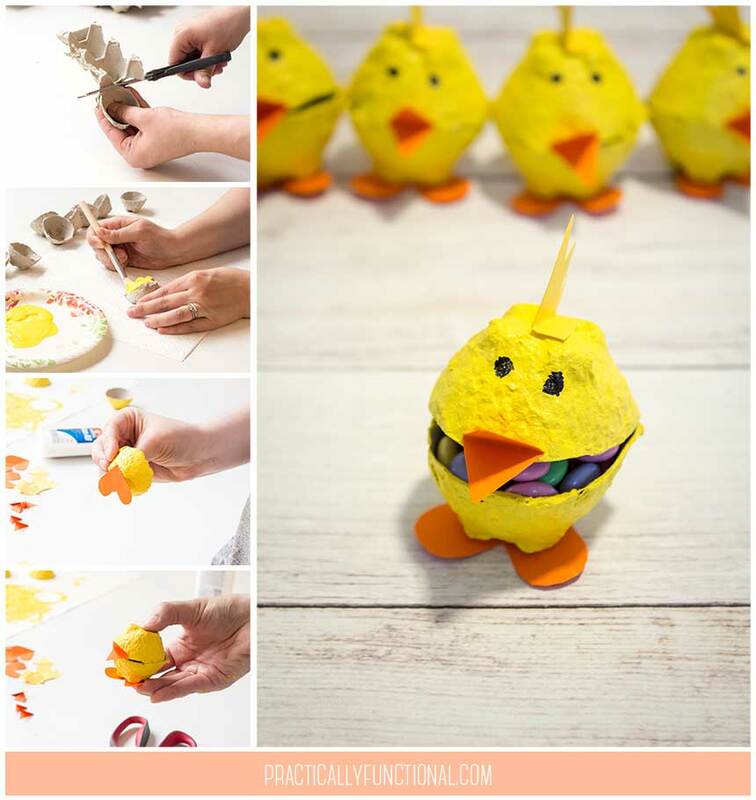 And once you’re done with your egg carton, repurpose it into these cute little egg carton chicks. 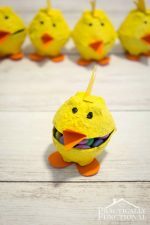 This is such a great project to do with your kids! Put a small piece of tape over both ends of the egg. Take a needle or straight pin (or something else small and pointy) and poke a hole into the top (skinnier) end of the egg, through the tape. Wiggle the pin around a bit to make the hole just a little bit wider than the pin and to help break up the yolk inside the egg. Flip the egg over (over your bowl to catch anything that drips out!) and poke a second hole on the other end of the egg. Make this hole a little bigger than the hole on the top. Shake the egg up to scramble the insides. Hold the egg over your bowl (bottom/fatter side down) and blow through the hole at the top of the egg. Keep blowing until the egg shell is completely empty. Rinse the egg in warm soapy water, making sure to clean out the inside of the egg as well as the outside. It can be kinda hard to blow out the insides of the egg, like blowing up a really really tough balloon, so make sure you get a good seal around the egg with your mouth so that all your air is going into the egg. 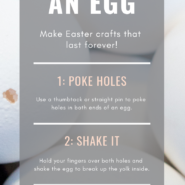 If it's too hard, try covering the holes and shaking the egg again to break up the insides more, or you can make the bottom hole slightly larger so the insides can come out.